More than four million readers fell in love with Nan, the smart, spirited, and sympathetic heroine of the #1 New York Times bestseller The Nanny Diaries. This reading group guide for Nanny Returns includes discussion questions, ideas for enhancing your book club, and a Q&A with authors Emma McLaughlin and Nicola Kraus. The suggested questions are intended to help your reading group find new and interesting angles and topics for your discussion. We hope that these ideas will enrich your conversation and increase your enjoyment of the book. Nanny Returns opens with three magazine quotes about Brooke Astor, Herman Merkin, and the Madoff family. How do these quotes about families and wealth set the scene for the novel? Discuss the scenes where Nan is reunited with the X family: her late-night surprise visit from Grayer, and her thank-you tea with Mrs. X. How has the X family changed in the past decade, since Mrs. X fired Nan? How has it remained the same? Why does Nan feel linked to this dysfunctional family, even after so many years away? Domestic spaces reveal a lot about personalities in Nanny Returns, from Harlem fixer-uppers to downtown lofts. What can you tell about each character—including Nan, Mrs. X, Carter Nelson, Citrine, and Nan’s grandmother—from the description of their homes? Discuss Nan’s first impressions of Jarndyce Academy. What problems with the school are obvious, even as Nan first steps in the door? Nan says she started her consulting business because “grown-ups consistently needed more help playing well with others.” (51) How do the adults in this novel act like children, and the children like adults? Which adults have the hardest time “playing well with others,” and what are the consequences of their childish behavior? Consider Nan’s rocky friendship with Citrine. What motivates the complicated friendship between these two women? Why does Citrine have Nan at her baby shower? Do you think Nan has judged Citrine unfairly, in the end? Why or why not? How does Nan feel about Ingrid, the teacher fired from Jarndyce? Imagining Ingrid’s reaction after Jarndyce closes down, Nan admits, “were she to rant her grievances into a teddy bear, I would warrant a shout-out.” (303) Who does Nan have more in common with by the end of the novel—Ingrid or the Jarndyce board members? Confronting his mother in Elizabeth X’s emptied-out home, Grayer says, “I’ve spent my life getting left by you.” (297) What are some of the occasions where Mrs. X left Grayer behind? How does Grayer turn the tables on Mrs. X? Do you think Grayer is ready to take on new responsibilities, or is he growing up too soon? What might the future hold for Grayer, as a future “Mr. X”? The novel ends with Nan enjoying the view from her brand-new window, “a view that, in the freshness of its revelation, rivals anything I’ve seen yet.” (305) What future has come into view for Nan? Channel your inner fashion designer and sketch or describe a school uniform for Jarndyce Academy. What should today’s elite boys and girls be wearing to school? Share your drawing or description with your book club, and compare fashion inspirations! Nanny Returns captures present-day New York down to its polished ballet flats. Have your book club imagine a time capsule that would preserve this year’s objects, trends and values. Make a list of items for your time capsule, and remember to “dig up” the list from your files in ten years, to see how your world has changed! Take a stand against cancer. Visit www.standup2cancer.org to watch videos, read articles, and make a donation for cancer research. Even if Mrs. X’s breast cancer was fake, the disease is absolutely real, and you can make a difference today. Have your book club members do a dramatic reading of Part One of “The Rime of the Ancient Mariner,” the poem Stilton performs at the school benefit. You can find a copy of the poem here: www.poetry.eserver.org/ancient-mariner.html. To learn more about Emma McLaughlin and Nicola Kraus, from their writing backgrounds to a view of their workspace, visit their website at www.emmaandnicola.com. 1. Nanny Returns really captures a particular time and place: New York City on the verge of financial meltdown. What kind of research did you do for the setting of the novel? In 2008 there was a distinct moment when rush hour on our subway lines, which had always been packed with young professionals, became eerily empty as companies fired those they had most recently hired. The fear was palpable worldwide, but was in particular relief in vacated bars, clubs and luxury stores that had heretofore been “above it all.” Then we started overhearing a certain breed of women in restaurants, locker rooms and ladies’ rooms complaining bitterly about how they expected their husbands to provide them with a certain lavish lifestyle, that was “the deal” they had made and how dare it be taken away from them. This got us thinking about how Mrs. X and her ilk would behave in the meltdown. What happens when a community that chooses money over love finds themselves with neither? 2. 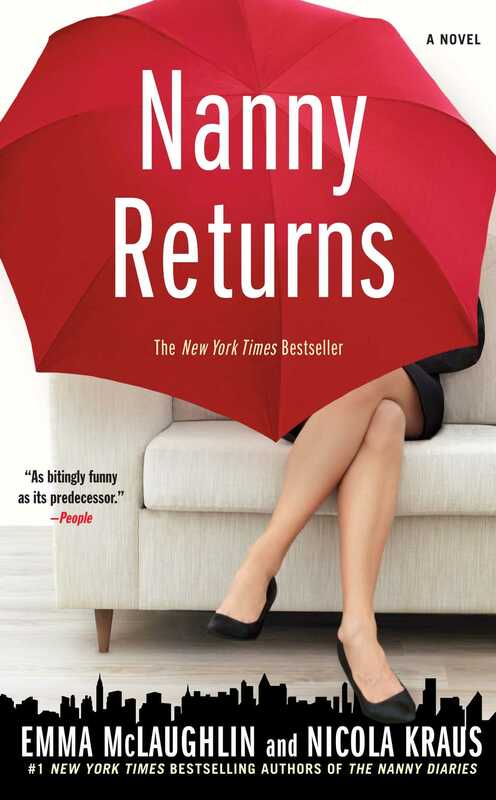 Like The Nanny Diaries, Nanny Returns is a great mix of social satire and real emotion. How do you know when to play up the humor, and when to tug at the heartstrings? Calibration, calibration, calibration—it’s our primary obsession. From the moment the period is typed on the last sentence of the first draft we commence analyzing which scenes need to be toned down, which need to be intensified, and which need more funnies so the reader has a moment to exhale before we go deeper. We are huge fans of writers who calculate the combination of these elements to create a truly satisfying story, from Aaron Sorkin to Tony Kushner. Eliciting laughter through tears requires a situation to have complexity, contradictions and reversals—just like life. 3. Which scene of Nanny Returns do you find the most comical? Well, and this is true of all our books, Nicki laughs out loud for months at the scenes Emma has written and vice versa. In fact, there are times Nicki will still get the giggles in readings at lines Emma wrote and it’s very embarrassing because it seems like she’s cracking herself up, but really she’s as much a fan of Emma’s work as any other reader. 4. Who was the inspiration for Nan’s grandmother, who offers boundless wisdom—and wardrobe advice—during Nan’s trials in the workplace? Do you have such a figure in your life? Emma’s grandmother, Frances, was the fabulous inspiration for Grandma’s spirit. We thought it very important in the first novel to a) show a character who had money, but was loving life and living right, and b) we wanted to equalize Nan’s status with Mrs. X. It was important to show that Nan’s judgment of Mrs. X didn’t come from being a country mouse. She is familiar with that world, and yet still appalled by Mrs. X’s behavior. 5. How do you manage to capture the speech and behavior of kids today? The kids we nannied for are in college now—and they are so great about answering all our questions. We love to keep in touch with our fans on Facebook and Twitter, many of whom are teens since the publication of our Young Adult novel, The Real Real. And Emma watches an appalling amount of reality television. 6. What is it like for you to write in the voices of young children, adolescents, and teens? The biggest challenge is to try to keep them specific, and to remember that their world is richer than the “now.” Just as our parents played their music from the ’60s and ’70s around the house, a teen today’s parents would be playing the ’80s, and they’d have grown up watching Friends in syndication. So there is generational overlap. 7. What inspired the Jarndyce Academy plot, and the shady characters who are more interested in a helipad than education? Suffice it to say these instances mirror events in the city’s not-so-recent past. We are fascinated by the change in the role of the private school in their students’ lives. It used to be that these institutions were empowered to provide structure and discipline on behalf of the parents. But if their Boards of Directors continue to be bought up by the nouveau riche, who then reset the schools’ moral compasses’ to mirror their value system (or lack thereof), who will provide boundaries and structure to their children? 8. Your novels often show women struggling in the workplace, juggling deadlines, romance and integrity. Why do you gravitate to the topic of working women? Well, first and foremost, as working women, we write what we know. And we love writing about the nuances of hierarchies and the workplace is rife with them, both overt and implicit. And there’s so much material to explore—women have only been in non-administrative rolls for two generations! We are in our infancy achieving real equality in that realm. And yet it’s such a covert struggle. Creatively, we are fascinated with that dichotomy. 9. Can you recommend any other books about women in the workplace? If you like Mad Men, go back to The Best of Everything, published in 1958. It’s about five young women trying to make it Manhattan. It’s a must-read. 10. Early in the novel, Nan marvels over the changes in Manhattan’s Meatpacking District: “It looks like every major Madison Avenue flagship has unmoored and drifted south to settle on what I recall from my adolescence as a foul-smelling stretch of godforsaken blood-soaked cobblestone.” (32) What parts of the city feel the most transformed to you? Nicki grew up in Manhattan so she thinks every nook and cranny has been transformed over the last three decades. The Upper East Side used to be the Austro-Hungarian neighborhood, where you could buy authentic German food and exports. But that is no more. And SoHo used to be overrun with junkies and now it’s one of the chicest areas of the city. It’s an incredible transformation. Yes, it’s nice not get mugged on a regular basis, but it has made the city crazy expensive to live in. 11. Where do you like to go for an old-fashioned New York experience? We love hotel bars. From the Oak Room at The Plaza, to Bemelmans’ Bar at The Carlyle, nothing beats sitting down on tufted leather and ordering a Sidecar. 12. At the end of Nanny Returns, Nan finds closure in a “benediction” from Grayer: “You should totally have kids.” (302) Do you think readers will also find closure in this sequel? Gosh, we hope so. That was our primary objective in undertaking revisiting these characters. We wanted to answer questions left open at the end of The Nanny Diaries. Life is complicated and we didn’t want to write anything too pat, but we do want to leave everyone with tremendous hope for Grayer, Stilton and Nan’s future. 13. What can your fans look forward to next? Our next YA novel, Over You, will be out in 2011. It’s about a teenage breakup coach. And our next adult novel will be out in 2011 as well. We can’t reveal what that is about yet, but if you friend our fan page on Facebook we will keep you posted. We read our wall every day and it’s a great way to stay in touch with readers and hear about what interests you. 14. Would you consider making a trilogy of Nan’s adventures in New York City? We would love to. As soon as we get that idea that gives Emma goosebumps and makes Nicki tear up we’ll get right on it. We miss Nan, too. Emma McLaughlin and Nicola Kraus are the New York Times bestselling authors of The Nanny Diaries, Citizen Girl, Nanny Returns, and the young adult novels, The Real Real and Over You. 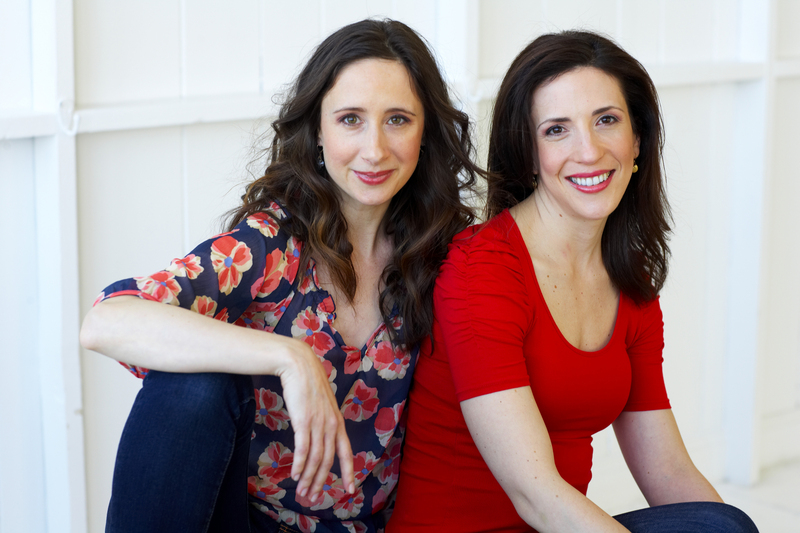 They are the cofounders of TheFinishedThought.com, a book coaching firm, and work together in New York City. For more information visit EmmaAndNicola.com.